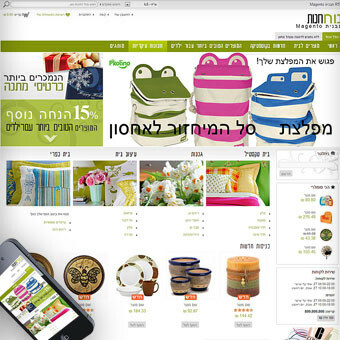 Create the perfect shop with our home and garden Magento templates. We've got the best ideas and solutions for decorating, home improvement, food, gardening, crafts, health, and family stores. 10 most popular free Magento extensions, and 5 key advanced and useful Magento extensions included. Responsive and Retina. Retina Ready Icons. We are offering to you 2 different style of theme and unlimited colors option. Fully responsive european design style Magento theme with powerful built-in extensions and features. Black and White color schemes to choose and unlimited colors option. RTL language layout Magento template is a responsive multipurpose theme which is fully customizable and suitable for any kind of store on any device. 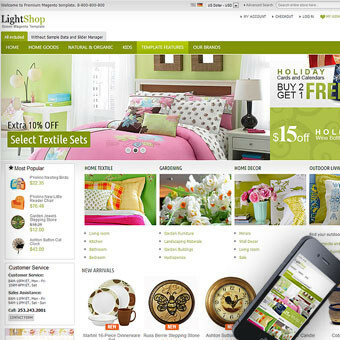 It is Right to Left edition of our Lightshop Green theme. Beautiful & unique fully responsive Magento theme for crafts, home décor, home textiles, accessories, flowers, eco-products. 10 most popular eCommerce extensions included. We make it easy for you to customize theme settings from colors to layouts. The Magento store design communicates the luxurious nature of goods through rich imagery and sumptuous use of color, inviting the visitor to explore the site, and encouraging them to want to find out more. 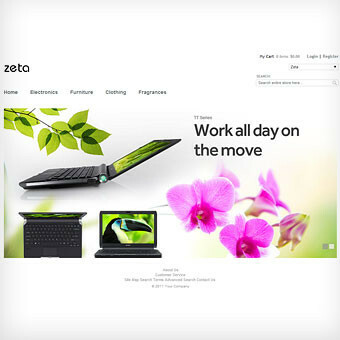 “White space sells”...The Zeta Magento theme has a crisp, modern feel with an elegant and minimal design. This is the ultimate theme for a store! 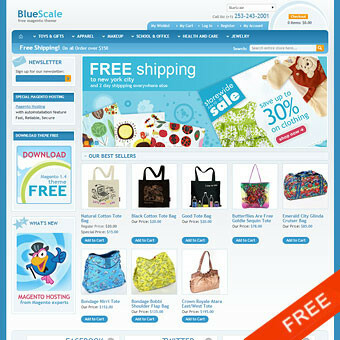 The PerfectBreeze is a fashionable european design style Magento Template with turquoise blue color scheme. 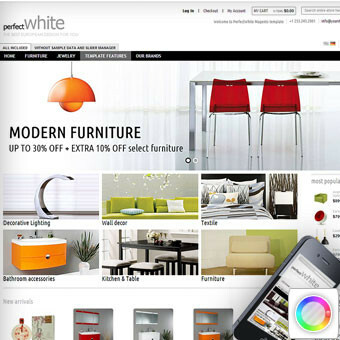 This Magento theme is elegant, modern, and simple, with a focus on usability. 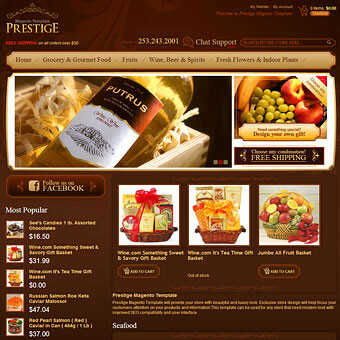 Prestige is a new Magento template with wonderful details. This is an elegant design suitable for a gourmet shop, chocolate store, gift store, or any luxury goods store. The perfect pretty-looking theme for a shop featuring items for kids and babies, toys and games, stationery, home decor or crafts. 4 essential backgrounds included. Purchase our stylish home and garden templates and give your Magento store the professional edge. Premium home and garden Magento themes help you get started with your store. 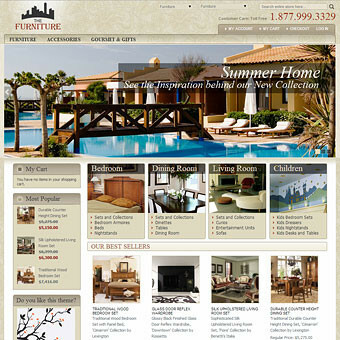 All home and garden Magento templates may be purchased immediately and used in your own creations. Each home and garden Magento theme is ready to download in a handy zip file, upon purchase. All home and garden Magento templates are fully customizable and easy to set up! Click on the thumbnail to see more info on the template you would like to use.